Dr Walker is currently employed as a Senior Lecturer on a Discovery Early Career Researcher Awards (DECRA) investigating novel hybrid, electric and conventional vehicle technologies. He was previously employed at UTS as a Chancellors Postdoctoral Research Fellow, focusing research on innovative drivetrain and powertrain technologies. His current research includes dynamics and control of vehicle powertrains and development of novel hybrid and electric vehicle powertrain architectures, including design, integration and transient dynamic analysis. More Broadly his current research topics includes vibration analysis, powertrain dynamics and control, powertrain hybridization and electrification, vehicle integration, hybrid energy storage systems, electrification and hybridization of two wheelers and ultra-compact vehicles, toroidal continuously variable transmissions, traction drives, and novel hybrid technologies. 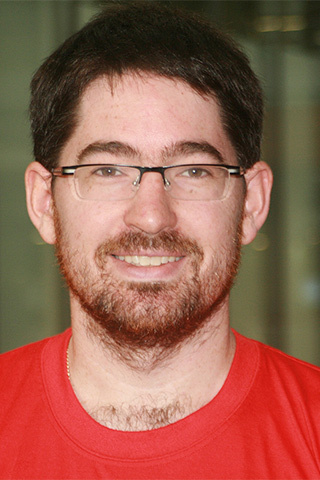 Dr Walker is the UTS team lead for the Australian Technology Network of Universities team for the 2019 World Solar Challenge. Current and previous collaborative research projects includes international and local industrial partners, such as Beijing Electric Vehicle Co., AVL/NTC Powertrains, Ultimate Transmissions, AutoCRC and Changzhou New Energy Vehicle Research Academy. Specialties: automotive transmission systems, vehicle dynamics, Matlab modelling, dSpace, steady state and transient vibration studies, shift and launch dynamics, hybrid and electric vehicles, powertrains. Dr Walker is currently a member of the Editorial Board for Mechanical Systems and Signal Processing. He sits on the Faculty Board and the Research Degrees Committee at UTS. IEEE This paper proposes a new real-time energy management strategy (R-EMS) to improve the fuel economy performance of the power-split hybrid electric vehicles (HEVs). Being different from most conventional optimization-based EMS, the R-EMS does not need priori information of the driving cycle and is used to the online control of HEV. The forward dynamic model of power-split powertrain is built based on the Prius MY10. At each instant, the proposed R-EMS tries to minimize the equivalent consumed power of the HEV, which is the weighted summation of gasoline power and battery output power. The equivalence factor of battery output power has a clear physical meaning that is the efficiency of gasoline energy transferred to battery energy. Another two coefficients are introduced to control the state of charge (SOC) of battery. By considering the engine torque and engine speed as two independent or dependent design variables, respectively, the 2-D R-EMS and 1-D R-EMS are formed. Several typical driving cycles are used to simulate the performance of the R-EMS, and the results show that the proposed R-EMS not only maintains the battery SOC but also saves the fuel consumption compared with the rule-based EMS. OAPA An accelerated second order super twisting sliding mode observer with an adaptive gain is proposed for a typical nonlinear system. The key contribution of this algorithm is that the rate of convergence of observation error is accelerated remarkably by introducing "system damping". Chattering issue is attenuated with satisfactory performance compared to conventional sliding mode observer. Furthermore adaptive gain can vary with deviation between the trajectory and sliding mode switching manifold dynamically so that overshoot can be reduced. The novel observer is proven mathematically to be convergent in a finite time. Finally, an example of nonlinear system is given to verify the performance. © 2017 Elsevier Ltd Owing to a lack of power density of conventional batteries, the onboard energy storage systems of an electric vehicle has to be oversized to compensate worst-case load condition, which is sub-optimal as it induces a heavy penalty on overall system weight and cost. One solution to overcome this limitation is to hybridize it with supercapacitors in order to boost its power performance via a power converter. This paper presents a multi-objective optimization problem over the parameters of such hybrid energy storage systems, with the aims to solve two conflicting objectives – cost and total stored energy in the hybrid energy storage system, under a set of pre-defined design constraints. An algorithm is first developed to find all feasible solutions to the problem. Two popular design examples are then tested differentiating Lithium Iron Phosphate based batteries from Lithium Manganese Oxide/Nickel-Cobalt-Manganese based batteries. A Pareto frontier is recreated for each example and an -constraint method is finally adopted to choose the best member for comparison. This is so far, according to the authors' knowledge, the first reported multi-objective optimal sizing method for an active hybrid energy storage system considering the effect of the power converter to gain a clearer understanding of its impact over various design choices. Mild hybrid vehicles have been explored as a potential pathway to reduce vehicle emissions cost-effectively. The use of manual transmissions to develop novel hybrid vehicles provides an alternate route to producing low cost electrified powertrains. In this paper, a comparative analysis examining a conventional vehicle and a mild hybrid electric vehicle is presented. The analysis considers fuel economy, capital and ongoing costs and environmental emissions, and includes developmental analysis and simulation using mathematical models. Vehicle emissions (nitrogen oxides, carbon monoxide and hydrocarbons) and fuel economy are computed, analysed and compared using a number of alternative driving cycles and their weighted combination. Different driver styles are also evaluated. Studying the relationship between the fuel economy and driveability, where driveability is addressed using fuel-economical gear shift strategies. Our simulation suggests the hybrid concept presented can deliver fuel economy gains of between 5 and 10%, as compared to the conventional powertrain. © 1982-2012 IEEE. A sliding-mode grid voltage observer (SMGVO) is proposed and experimentally verified in this paper for voltage-sensorless operation under an unbalanced network. The fundamental positive sequence component (FPSC) and fundamental negative sequence component (FNSC) are inherently separated in the observer without employing any additional filters. Due to embedded filtering effect, high frequency chattering and harmonic ripples can be well suppressed. Additionally, dc components can be completely rejected. As a result, dc offset would not cause fundamental frequency oscillations in magnitude and frequency of the estimated FPSC and FNSC. Owing to the predictive ability of SMGVO, one-step delay can be directly compensated using state variables in the observer. By combining estimation and prediction into one stage, the designed SMGVO turns out to be a compact solution for finite-control-set model predictive power control without voltage sensors. Theoretical proof is derived to verify that FPSC and FNSC can be accurately estimated and separated. Experimental results obtained from a two-level PWM rectifier confirm the effectiveness of the whole control system. © 2017, The Author(s). During the engagement of the dry clutch in automotive transmissions, clutch judder may occur. Vehicle suspension and engine mounts couple the torsional and longitudinal models, leading to oscillations of the vehicle body that are perceived by the driver as poor driving quality. This paper presents an effective formulation for the modeling and simulation of longitudinal dynamics and powertrain torsional dynamics of the vehicle based on non-smooth dynamics of multibody systems. In doing so friction forces between wheels and the road surface are modeled along with friction torque in the clutch using Coulomb's friction law. First, bilateral constraint equations of the system are derived in Cartesian coordinates and the dynamical equations of the system are developed using the Lagrange multiplier technique. Complementary formulations are proposed to determine the state transitions from stick to slip between wheels and road surface and from the clutch. An event-driven scheme is used to represent state transition problem, which is solved as a linear complementarity problem (LCP), with Baumgarte's stabilization method applied to reduce constraint drift. Finally, the numerical results demonstrate that the modeling technique is effective in simulating the vehicle dynamics. Using this method stick-slip transitions between driving wheel and the road surface and from the clutch, as a form of clutch judder, are demonstrated to occur periodically for certain values of the parameters of input torque from engine, and static and dynamic friction characteristics of tire/ground contact patch and clutch discs. © 2018 Elsevier Ltd This paper proposes a novel synchronizer 'Harpoon-Shift' aiming at improving the comfort and efficiency of gearbox, meanwhile, simplifying the shifting control strategy for multi-speed electric vehicles. It will overcome one of the biggest shortcomings of traditional synchronizer system with frictional cone clutch. Experiment is established to investigate the torque and speed responses during the engagement of gears pairs. Then, based on previous testing results, the relationship of the peak torque and minimum speed difference to implement gear shifting with various spring coefficients is investigated. In addition, a mathematical model of the Harpoon-Shift system is developed to simulate the engagement process. The simulation results of system transient responses are validated against the data measured on testing rig. The model is then improved to study the impact of the rotating inertia, speed and speed difference on the torsional vibration and required time of engagement. Both of the simulation and experimental results show the significant improvement of proposed synchronizer to conventional cone clutch synchronizer. © 2018 Elsevier Ltd A novel power-split powertrain is proposed for the electric vehicles (EVs), which consists of dual propelling motor and one planetary gear set. The original motor is replaced by two downsize motor without changing the total power. The power distribution between the two downsize motors is determined by the parameters specifications of planetary gear set, which ensures the dual input powertrain has at least the same drivability performance as conventional single input powertrain. The planetary gear set is used to realize the power-split function by adjusting the gear ratio continuously to improve overall motor efficiency. The multibody dynamic model of the planetary gear set is built, considering the effect of inertia of all components. Based on the efficiency maps of the two motors, an energy management optimization model is built to minimize the consumed power of motors and transmission at each instant. The acceleration of sun gear and mechanical power of planetary gear set are constrained to avoid the large impact of transmission. A penalty factor is introduced in the objective function to realize the robust control of motor speed. Three driving cycles are used to demonstrate the improvement of energy efficiency compared to the traditional EVs with single-speed transmission. © 2018 Elsevier Ltd Two novel dual motor input powertrains are proposed to improve the energy efficiency of electric vehicles (EVs). The first powertrain is based on a dual motor with planetary gear transmission (DMPGT), which connects two motors to the sun gear and ring gear respectively, and the carrier is engaged with output shaft. Two band brakes equipped on the sun gear and ring gear can realize three driving modes. The second powertrain is based on a dual motor with parallel axle transmission (DMPAT). It also provides three driving modes through switching on and off the two motors. To evaluate the two proposed powertrains, they will be compared with the widely adopted single motor with 1-speed and with 2-speed powertrains. The gear ratios of the powertrains are selected aiming at the vehicle dynamic performance, while the gear or mode shifting is designed to maximize the efficiency of EVs through an instantaneous optimization algorithm. The simulation results of the two proposed powertrains in three typical driving cycles demonstrate that the EVs equipped with both DMPGT and DMPAT have a higher overall efficiency than the EVs equipped with single motor input powertrain. Copyright © 2018 Inderscience Enterprises Ltd. This paper provides a new and easy way that a diagram-model with vehicle speed – vehicle torque (VS-VT) coordinates, as a basis to test the efficiency of Electric Machine (EM) in a multi-speed powertrain. A 2-speed dual clutch transmission (DCT) is used as the investigation object. To validate the new method, a Simulink model and a testing rig in the laboratory are involved. Results demonstrate that the new method is simpler than the Simulink model and testing rig to make the characteristics of the electric motor more visible, which provides more space for further investigation. Based on the new diagram model, another new method for the optimisation of gear ratios is introduced, which is based on the cycle tracks density (CTD) on the new diagram-model. Thanks to the new process, the performance of the electrified drivetrain will be improved and researching and developing investment can be saved through an easy and visible process. © IMechE 2018. In this paper, the generation mechanism of high-frequency brake squeal is revealed from the perspective of vibration energy. Based on a closed-loop coupling model, vibration energy transfer paths at the friction coupling interface between brake pads and disc are derived. Vibration energy equilibrium analysis is used to verify the reliability and accuracy of the derivation and the presented result demonstrates that vibration energy transferred from disc rotor to pads is the dominant transfer path. It is also demonstrated that the disc rotor is the key substructure affecting high-frequency brake squeal. As the disc rotor is axisymmetric, its repeated-root modes may lead to unreasonable calculated results by using the substructure modal composition method for analyzing the brake squeal. In this study, these repeated-root modes are processed by using a modified substructure modal composition method to obtain one unique integrated substructure modal composition coefficient of each disc repeated-root modes. Finally, the presented method is applied to analyze the brake squeal in the 13 kHz frequency band. The results easily identify the key vibration modes of the disc affecting high-frequency brake squeal, verifying the reliability of the presented method. © 2016 Elsevier LtdThe purpose of this paper is to demonstrate the application of torque based powertrain control for multi-speed power shifting capable electric vehicles. To do so simulation and experimental studies of the shift transient behaviour of dual clutch transmission equipped electric vehicle powertrains is undertaken. To that end a series of power-on and power-off shift control strategies are then developed for both up and down gear shifts, taking note of the friction load requirements to maintain positive driving load for power-on shifting. A mathematical model of an electric vehicle powertrain is developed including a DC equivalent circuit model for the electric machine and multi-body dynamic model of the powertrain system is then developed and integrated with a hydraulic clutch control system model. Integral control of the powertrain is then performed through simulations on the develop powertrain system model for each of the four shift cases. These simulation results are then replicated on a full scale powertrain test rig. To evaluate the performance of results shift duration and vehicle jerk are used as metrics to demonstrate that the presented strategies are effective for shift control in electric vehicles. Qualitative comparison of both theoretical and experimental results demonstrates reasonable agreement between simulated and experimental outcomes. The purpose of this paper is to demonstrate the application of torque based powertrain control for multi-speed power shifting capable electric vehicles. To do so simulation and experimental studies of the shift transient behaviour of dual clutch transmission equipped electric vehicle powertrains is undertaken. To that end a series of power-on and power-off shift control strategies are then developed for both up and down gear shifts, taking note of the friction load requirements to maintain positive driving load for power-on shifting. A mathematical model of an electric vehicle powertrain is developed including a DC equivalent circuit model for the electric machine and multi-body dynamic model of the powertrain system is then developed and integrated with a hydraulic clutch control system model. Integral control of the powertrain is then performed through simulations on the develop powertrain system model for each of the four shift cases. These simulation results are then replicated on a full scale powertrain test rig. To evaluate the performance of results shift duration and vehicle jerk are used as metrics to demonstrate that the presented strategies are effective for shift control in electric vehicles. Qualitative comparison of both theoretical and experimental results demonstrates reasonable agreement between simulated and experimental outcomes. © The Institution of Engineering and Technology. In this study, a speed-sensorless finite control set-model predictive current control method is proposed based on an adaptive full order observer. The control system features simplicity and low cost because of no requirement for speed measurement, modulator and tuning of weighting factors. In most sensorless based schemes, the motor is assumed to be started from standstill. There is limited research considering starting a free running motor with unknown rotational direction and speed. To start a free-running induction motor (IM), the feedback gain matrix is designed to guarantee the convergence of estimated speed to actual speed even with incorrect initial value. To improve the efficiency, amplitude of flux is adjusted along with load condition. The presented results show that the proposed method is able to smoothly start an IM with unknown initial speed and work well over a wide speed range. The effectiveness of the proposed method is verified by both simulation and experimental tests on a two-level inverter fed IM drive platform. © 2016 IEEE.In some cases, such as restarting after power interruption or starting a motor rotated by external load, the motor may be rotating before being powered by the inverter. For speed-sensorless operation, as both the initial rotational direction and speed is unknown, it would be difficult to achieve smooth and fast resumption of normal operation if the starting scheme is not deliberately designed. In this paper, a method based on adaptive full order observer (AFO) is proposed to address this problem. For AFO without a properly designed feedback gain matrix, the estimated speed cannot converge to the actual speed if initial estimated speed is significantly lower than the actual speed. Through analyzing the transfer function of stator current error, the convergence condition of speed estimation is deduced. A feedback gain matrix and the condition for shifting to normal operation are subsequently proposed to improve restarting performance. The detailed design and implementation of the proposed method combined with finite control set model-predictive flux control is illustrated. Simulation and experimental results validate the effectiveness of the developed schemes. © 2017 Elsevier LtdThis paper investigates the development of a mild hybrid powertrain system through the integration of a conventional manual transmission equipped powertrain and a secondary power source in the form of an electric motor driving the transmission output shaft. The primary goal of this paper is to study the performance of partial power-on gear shifts through the implementation of torque hole filling by the electric motor during gear changes. To achieve this goal, mathematical models of both conventional and mild hybrid powertrain are developed and used to compare the system dynamic performance of the two systems. This mathematical modelling is used to run different simulations for gear-shift control algorithm design during system development, allowing us to evaluate the achievable performance and its dependency on system properties. The impact of motor power on the degree of torque hole compensation is also investigated, keeping in mind the practical limits to motor specification. This investigation uses both the output torque, vehicle speed as well as vibration dose value to evaluate the quality of gearshifts at different motor sizes. Results demonstrate that the torque hole may be eliminated using a motor power of 50 kW. However, the minimum vibration dose value during gear change is achieved using a peak power of 16–20 kW. © 1982-2012 IEEE. For high-power drives, switching frequency is usually restricted to several hundred hertz to minimize the switching losses. To maintain the current distortions and torque ripples at a reasonable level, synchronized pulse patterns with half-wave and quarter-wave symmetries are employed. The analytic compensation is derived by Fourier analysis to ensure the proportionality between the voltage reference and the output voltage of an inverter for pulse width modulation (PWM) with low pulse ratio. A simple yet very effective method with varying sampling rate is proposed to maintain synchronization even for fast dynamic processes. The fast and smooth transition between different PWM patterns is achieved by compensating phase angle of the voltage reference through the analysis of stator flux trajectories. The effectiveness of the proposed method is validated on a down-scaled 2.2-kW induction motor drives. © 2017 by ASME. This paper presents a study of the dynamics and control of clutchless automated manual transmissions (CLAMT) for the purpose of investigating the system behavior during up and down shifts. To achieve this, a multibody dynamic model of the proposed powertrain is implemented to simulate the transient behavior of the system, including a direct current (DC) equivalent model of the electric machine (EM) and a synchronizer mechanism model. Closed-loop control of motor speed and torque is used in conjunction with synchronizer mechanism actuation to functionally achieve gear shifting without the need for a primary friction clutch. This includes nested torque-speed closed-loops to implement alternative motor control functionalities at different stages of gear change. To evaluate the performance of shift control, shift metrics including longitudinal jerk, vibration dose value (VDV), and shifting duration are evaluated from simulation results. These results demonstrate the most significant impact on the transient response of the powertrain results from the reduction and reinstatement of motor torque during shift control. Speed control of the motor during the shift transient directly impacts on the duration of shifting, but not the transient response of the powertrain. © 2017 Elsevier Inc. The target torque of engaging clutches during gearshift is a key factor that affects the dynamic response of powertrains equipped with the dual clutch transmissions (DCT). This paper investigates a method to estimate the target torque of engaging clutches under conditions where engine torque and measurement signals contain white noise and some vehicle parameters (the radius of wheel and rolling friction coefficient) are uncertain. To compute the target torque accurately, the state of system should be estimated when the uncertain parameters exist. The vehicle powertrain is modeled as the 3DOF system when one clutch is closed and the 4DOF system when two clutches are open, while the measured signals include speeds of the engine, transmission, and vehicle (rotational speed of wheels). In addition to traditional extended Kalman filter (EKF), both the joint extended Kalman filter (JEKF) and dual extended Kalman filter (DEKF) are used to estimate the target torque. The simulation results show that DEKF and JEKF provide much higher accuracy in the estimation of target torque than EKF when some parameters of the model are uncertain, so as to produce a better ride performance of the transmission during gearshift, i.e. reduction of power interruption and compressed shifting time. Furthermore, the DEKF provides higher accuracy than the JEKF in estimating uncertain parameters. Driven by stricter mandatory regulations on fuel economy improvement and emissions reduction, market penetration of electrified vehicles will increase in the next ten years. Within this growth, mild hybrid vehicles will become a leading sector. The high cost of hybrid electric vehicles (HEV) has somewhat limited their widespread adoption, especially in developing countries. Conversely, it is these countries that would benefit most from the environmental benefits of HEV technology. Compared to a full hybrid, plugin hybrid, or electric vehicle, a mild hybrid system stands out due to its maximum benefit/cost ratio. As part of our ongoing project to develop a mild hybrid system for developing markets, we have previously investigated improvements in drive performance and efficiency using optimal gearshift strategies, as well as the incorporation of high power density supercapacitors. In this paper, the fuel and emissions of a baseline conventional vehicle and mild hybrid electric vehicle (MHEV) are compared. The objective of this analysis is to compare the fuel economy and Greenhouse Gas (GHG) emissions of the baseline and MHEV models, using low and high-density traffic patterns chosen for their similarity to traffic density profiles of our target markets. Results demonstrate the benefits of a lower ongoing cost for the HEV architecture. These advantages include torque-hole filling between gear changes, increased fuel efficiency and performance. © 2017 by the authors. As there is no clutch or hydraulic torque converter in electric vehicles to buffer and absorb torsional vibrations. Oscillation will occur in electric vehicle drivetrains when drivers tip in/out or are shifting. In order to improve vehicle response to transients, reduce vehicle jerk and reduce wear of drivetrain parts, torque step changes should be avoided. This article mainly focuses on drivetrain oscillations caused by torque interruption for shifting in a Motor-Transmission Integrated System. It takes advantage of the motor responsiveness, an optimal active control method is presented to reduce oscillations by adjusting motor torque output dynamically. A rear-wheel-drive electric vehicle with a two gear automated manual transmission is con sidered to set up dynamic differential equations based on Newton's law of motion. By linearization of the affine system, a joint genetic algorithm and linear quadratic regulator method is applied to calculate the real optimal motor torque. In order to improve immediacy of the control system, time consuming optimization process of parameters is completed off-line. The active control system is tested in AMEsim® and limitation of motor external characteristics are considered. The results demonstrate that, compared with the open-loop system, the proposed algorithm can reduce motion oscillation to a satisfied extent when unloading torque for shifting. Copyright © 2016 SAE International. A compiled method of the programmed load spectrum, which can simplify and accelerate the fatigue bench test of a car body, is proposed and its effectiveness is checked by the fatigue simulation. By using the multi-body dynamics model with a satisfactory accuracy, the virtual iteration is applied to cascade body loads from the wheel hubs. Based on the rain-flow counting method and statistics theory, the distributions of the body loads are analyzed, and then the programmed load spectrum is compiled and simplified. Through comparative study, the simulation results of random and programmed load spectrum are found to agree well with each other in terms of the damage distribution and fatigue life, which demonstrates the effectiveness of the presented method. © 2016 Inderscience Enterprises Ltd. In order to study the economy performance of a two-speed electric vehicle (EV) equipped with a wet dual clutch transmission (DCT), this paper presents a theoretical analysis of drag torque in wet clutches, and investigates the relationship between drag torque, transmission gear ratios, and their optimisation. As such, the application of drag torque effects in gear ratio optimisation is conducted. Through this paper mathematic models for a two-speed EV is presented and a procedure to obtain the reasonable optimal gear ratio pairs and corresponding shift schedule for a two-speed EV is described in detail, with consideration of wet clutch drag torque. Through simulation and parametric analysis using different test driving cycles, including constant speed, NEDC and UDDS, the effects of drag torque is studied in gear ratio selection and EV efficiency and economy, with result demonstrating a significant influence on overall vehicle performance, and degradation of drivetrain efficiency. As pure electric vehicles are considered to be a major growth trend in the automotive industry, research into and development of efficient electric powertrain systems and related control technologies have become popular research topics. The growing importance and use of multi-speed transmissions in these vehicles make shift schedule design and research a crucial aspect of the powertrain systems design of pure electric vehicles. This paper provides a gear shift schedule calculation method for pure electric vehicles, which includes a dynamic shift schedule and an economic shift schedule calculation method, demonstrating how to optimize the shift points and to produce the upshift and downshift lines based on the motor efficiency map. Through the establishment of a pure electric vehicle model, simulation results show that a properly designed shift schedule can improve the working region of the motor and can refine the dynamic performance and the economic performance of the vehicle. Finally, rig testing results are demonstrated to be comparable with simulations and indicate the correctness of the method. © 2015 Elsevier Ltd. The development of hybrid electric two wheelers in recent years has targeted the reduction of on road emissions produced by these vehicles. However, added cost and complexity have resulted in the failure of these systems to meet consumer expectations. This paper presents a comparative study of the energy economy and essential costs of alternative forms of small two wheelers such as scooters or low capacity motorcycles. This includes conventional, hybrid, plug-in hybrid and electric variants. Through simulations of vehicle driving range using two popular driving cycles it is demonstrated that there is considerable benefit in fuel economy realised by hybridising such vehicles. However, the added costs associated with electrification, i.e. motor/generator, power electronics, and energy storage provide a significant cost obstacle to the purchase of such vehicles. Only the pure electric configuration is demonstrated to be cost effective over its life in comparison to conventional two wheelers. Both the hybrid electric and plug-in equivalents must overcome significant upfront costs to be cost competitive with conventional vehicles. This is demonstrated to be achieved if the annual driving range of the vehicle is increased substantially from the assumed mean. Given the shorter distances travelled by most two wheeler drivers it can therefore be concluded that the development of similar hybrid electric vehicles are unlikely to achieve the desired acceptance that pure electric or conventional equivalents currently achieve. selection of transmission and electric machine for the development of multispeed electric vehicle (EV) powertrains. Multi-variable optimisation, in the form of genetic algorithms, is applied to the systems design of single and two speed EVs powertrains. Simulation-in-the-loop-based optimisation for the determination of primary motor, transmission and driveline design variables is conducted through the application of alternative driving cycle scenarios. The results for two speed optimisation demonstrate the capability to meet vehicle performance demands at a reduced motor size without increasing losses in the motor. Whilst, comparison of result for both single and two speed powertrains has demonstrated that the two speed provides a more consistent average cycle loss across alternative driving cycles, and improved low speed acceleration. Additionally, the impact of driving cycle selection is demonstrated to strongly influence outcomes of the optimisation procedure. © 2015 Universiti Malaysia Pahang. Hybrid electric vehicles provide higher fuel efficiency and lower emissions through the combination of the conventional internal combustion engine with electric machines. This paper analyzes and compares two types of hybrid electric powertrain with a conventional vehicle powertrain to study the lifetime costs of these vehicles. The novelty of the University of Technology Sydney plug-in hybrid electric vehicle (UTS PHEV) arises through a special power-splitting device and energy management strategy. The UTS PHEV and comparative powertrains are studied through numerical simulations to determine fuel consumption for the proposed low and high congestion drive cycles. Satisfactory results are achieved in terms of fuel economy, the all-electric range and electrical energy consumption for the UTS PHEV powertrain, providing significant improvement over the alternative powertrains. The analysis of these vehicles is extended to include a cost-based analysis of each powertrain in order to estimate the total lifetime costs at different fuel prices. The results obtained from this analysis demonstrate that whilst the conventional powertrain is cheaper in terms of purchase and maintenance costs, both alternative configurations are more cost-effective overall as the average price of fuel increases. The purpose of this paper is to develop a comprehensive nonlinear model of a typical direct acting solenoid valves utilized for clutch control in wet dual clutch transmissions. To do so, mathematical models of the integrated electrohydraulic solenoid valve and wet clutch piston assembly are developed in the Simulink environment of Matlab. Through simulation the operating characteristics of the control valve are analyzed, demonstrating that the valve achieves dual functionalities of high flow and accurate pressure control depending on demands. This is realized through the designed force balancing of the valve spool. The dependency of the system to system variables on input pressure and the influence of air content on dynamic response of the valve are investigated. The resilience of output pressure is demonstrated to these variables, indicating strong system reliability. Finally, the model is then validated using in situ experimental testing on a powertrain test rig. The comparison of experimental and simulated results for steady state pressure as well as step and ramp input responses demonstrate good agreement. The theoretical analysis of drag torques within a two-speed dual clutch transmission is presented in this article. The numerical models are developed to study the different sources of drag torques in dual clutch transmission. Simulations are performed in Matlab/Simulink platform to investigate the variation of drag torques under different operating conditions. Then an experimental investigation is conducted to evaluate the proposed model using an electric vehicle powertrain test rig. Outcomes of experimentation confirm that simulation results agree well with test data. Therefore the proposed model performs well in the prediction of drag torque for the transmission, and can be applied to assess the efficiency of the transmission. Results demonstrate that the entire drag torque is dominated by the viscous shear in the wet clutch pack and gear churning losses. This lays a theoretical foundation to future research on reducing drag torque and applications of drag torque in powertrain system efficiency optimization. The purpose of this paper is to investigate the active damping of automotive powertrains for the suppression of gear shift related transient vibrations. Conventionally, powertrain vibration is usually suppressed passively through the application of torsional dampers in dual clutch transmissions (DCT) and torque converters in planetary automatic transmissions (AT). This paper presents an approach for active suppression of transient responses utilising only the current sensors available in the powertrain. An active control strategy for manipulating engine or electric machine output torque post gear change via a proportional-integral-derivative (PID) controller is developed and implemented. Whilst conventional internal combustion engine (ICE) powertrains require manipulation of the engine throttle, for HEV powertrains the electric machine (EM) output torque is controlled to rapidly suppress powertrain transients. Simulations for both conventional internal combustion engine and parallel hybrid vehicles are performed to evaluate the proposed strategy. Results show that while both the conventional and hybrid powertrains are both capable of successfully suppressing undesirable transients, the EM is more successful in achieving vibration suppression. Synchronizer mechanisms play an important role in the selection and engagement of gears in manual, automated manual, and dual clutch transmissions (DCTs). These mechanisms rely heavily on the balancing of torque loads in cone clutches, dog gears, and from losses in the gearbox to ensure repeatable and reliable actuation, with excessive wear on friction and contact surfaces, leading to degradation of actuation and potential mechanism failure. DCTs, in particular, provide a unique operating environment for synchronizers, most notably is its actuation with the engine still driving the wheels during normal driving conditions. Thus, the consideration of increased transmitted vibrations through the powertrain must be evaluated to study the impact of these vibrations on the synchronizer. To conduct this investigation, this paper develops a detailed multibody dynamic model of a typical automotive powertrain equipped with a DCT. This includes engine models with torque harmonics that capture the instantaneous torque variations from piston firing in the engine. As the main consideration of this paper is the influence of engine harmonics, the semi-definite powertrain model is simplified to a fixed-free system and the response of the synchronizer mechanism to harmonic torque inputs is analyzed. Parametric analysis of the system is conducted to analyze the influence of variables—including gear ratio, torsional damper, system damping, and engine configuration—on the dynamic response of the mechanism. Results demonstrate the influence of each of these variables on synchronizer dynamics in the steady state, with stiffness of torsional damper having the strongest influence on forced vibration. Additionally, results vary significantly between single and dual lay-shaft transmissions. Pure electric vehicles (PEVs) provide a unique problem in powertrain design through the meeting of performance specifications whilst maximising driving range. The consideration of single speed and multispeed transmissions for electric vehicles provides two strategies for achieving desired range and performance specifications. Through the implementation of system level vehicle models, design analysis, and optimisation, this paper analyses the application of both single speed and two-speed transmission applications to electric vehicles. Initially, transmission ratios are designed based on grade and top speed requirements, and impact on vehicle traction curve is evaluated. Then performance studies are conducted for different transmission ratios using both single speed and two-speed powertrain configurations to provide a comparative assessment of the vehicles. Finally, multivariable optimisation in the form of genetic algorithms is employed to determine an optimal gear ratio selection for single speed and two-speed PEVs. Results demonstrate that the two-speed transmission is capable of achieving better results for performance requirements over a single speed transmission, including vehicle acceleration and grade climbing. However, the lower powertrain efficiency reduces the simulated range results. Popular methods for simulation of shift control in dual clutch transmissions rely on two assumptions, (1) the application of minimal degrees of freedom for the powertrain model, and (2) the use of mean torque engine models to describe engine torque. Such assumptions will impact on both the observed powertrain response and control of lightly damped powertrains. In this paper these two assumptions are tested through a comparative numerical study of shift transient control through the application of alternate powertrain and engine models. To study the influence of engine torque harmonics, model degrees of freedom, and dual mass flywheels on the transient response of a vehicle powertrain equipped with a dual clutch transmission two powertrain models are presented. Four degree of freedom and 15 degree of freedom models are compared using free vibration analysis and shift transient simulations. Models are then extended to include an engine model with torque harmonics resulting from piston-by-piston firing of the engine with and without the addition of a dual mass flywheel to study the impact on powertrain response. Results indicate that degrees of freedom, engine model, and flywheel model all contribute significantly to variance in powertrain response under each configuration. Dual-clutch transmissions have increased in prevalence through the combination of high efficiency and shift quality. This is achieved through the automation of conventional manual transmission synchronisers for gear selection with automated clutch-to-clutch shift control, minimising loss of traction to the road. This article derives a suitably detailed model of a dual-clutch transmission equipped powertrain for the transient simulation and analysis of combined synchroniser engagement and gear shifts. Models are derived for a powertrain equipped with a wet dual-clutch transmission with particular focus on a detailed synchroniser mechanism model, including speed synchronisation, ring unblocking and indexing stages of engagement. To demonstrate the combination of synchroniser engagement with clutch-to-clutch shifting, several simulations are conducted to study the variation of chamfer alignment, vehicle speed and synchroniser engagement timing on powertrain response. Results indicate that vehicle speed and chamfer alignment have only limited impact on the quality of shifting. Synchroniser timing can have a more significant influence on shift quality, stressing the need for independence of these processes. The study of synchroniser engagements in dual clutch transmissions is undertaken in this paper, identifying limitations to the repeatability of actuation, demonstrating one popular solution for positive synchroniser control and offering an alternate engagement tool. Principally, high wet clutch drag and the synchroniser design have lead to detrimental alignments conditions, where indexing chamfers on sleeve and target gear delay engagement of the mechanism and lead to potential sleeve block out. This paper focuses on the investigation of different control methods for overcoming these detrimental alignment conditions. The application of a closed loop control method to overcome block out related engagements is studied, and, for comparison, a novel engagement tool for overriding all chamfer alignment conditions is introduced and evaluated. Results have demonstrated that both techniques have some limitations, with the novel tool being capable of providing direct control of all chamfer engagements with limited extension of the duration of synchroniser engagements; however, some tuning of mechanism parameters is required for different engagement conditions. Transient response of a dual clutch transmission (DCT) powertrain to synchroniser mechanism engagements is investigated using a lumped inertia model of the powertrain. Original research integrates lumped inertia powertrain models for the DCT with a detailed synchroniser mechanism model and two separate engine models, comprising of a mean torque model and a harmonic torque model, using torque derived from piston firing. Simulations are used to investigate the synchroniser mechanism engagement process in a previously unscrutinised operating environment. Simulations are performed using both engine torque models, with the mean torque model demonstrates the highly nonlinear nature of synchroniser mechanism engagement, and the powertrain response to the engagement process. Through the introduction of harmonic engine torques, additional excitation is present in the mechanism during engagement, and increased vibration of the synchroniser sleeve results. The impact of vibrations is particularly important to the increased wear of indexing chamfer contact surfaces. Drag torque contributes significantly to the engagement of synchronisers in vehicle transmissions. Little is understood of how drag torque varies during transient engagement. Considerable analysis, however, has shown it affects engagement and can cause the mechanism to fail. To demonstrate the significance of the role that drag torque plays during synchroniser engagement in a wet clutch dual clutch transmission numerical models of the mechanism and drag torque are developed. This includes torsional resistances from bearings, gear windage and friction, viscous shear in the concentrically aligned shafts and thewet clutch pack. Simulations are performed in MatlabÂ® to evaluate the drag torques acting on the mechanism. The results of simulations using this model demonstrate that the drag torque is dominated by the viscous drag in the wet clutch. Furthermore simulations demonstrate the nonlinear nature of this torque, and the peak drag torque is identified as being significantly larger that typical estimations. The modelling, simulation and analysis of a synchroniser mechanism as a component of wet Dual Clutch Transmissions (DCT) is presented in this paper. Mechanism engagement is demonstrated using rigid body models with a detailed drag torque model, to establish its variation over the process. Dimensionless equivalent cone and chamfer torques are used to study the impact of drag torque from a design perspective, and parameter studies performed to verify this method. Outcomes suggest the high dependency of speed synchronisation on both cone angle and friction coefficient, while the chamfer torque are highly dependent on chamfer angle, but not friction coefficient. Walker, P, Zhanga, N, Jeyakamurana, J, Tambab, R & Fitzgeraldb, S 2008, 'Recent advancements in Dual Clutch Transmission Modelling and Simulation', INTER-NOISE and NOISE-CON Congress and Conference Proceedings, vol. 2008, pp. 5879-5888. © 2018 IEEE. In this work, a validation procedure is presented, for an electric propulsion system used in a mild hybrid electric vehicle powertrain. The vehicle is configured based upon a brushless DC (permanent magnet synchronous) motor installed as electric propulsion system in a mild hybrid electric vehicle. Hardware-in-the-loop (HIL) techniques are used to enable rapid prototyping, as well as validate the specified characteristics of the motor unit, which was purchased as an off-the-shelf item. The validation results of the work in summary indicate that whilst the motor unit does not meet quoted specifications, it nevertheless functions acceptably for the purpose of the hybrid electric vehicle application. © 2018 KIEE EMECS (KIEE Electrical Machinery and Energy Conversion Systems). For high-power or high-speed motor drives, the low switching frequency to fundamental frequency ratio leads to poor bandwidth or even instability of the current control loop if the controller is not properly designed. In this paper, a digital predictive current controller is constructed based on an exactly discretized model to overcome this issue. Then, a method of online disturbance adaptation is proposed to compensate for the side impact of motor parameter mismatches on the tracking performance. Additionally, online inductance adaptation is further incorporated to improve transient performance. Compared with the prior complex-vector proportional-integral controller, the proposed current controller presents faster dynamic responses and better parameter robustness. Simulation and experimental tests on a permanent magnet synchronous motor drive confirm the effectiveness of the proposed control schemes. Wave Energy Converters (WECs) have excellent potential as a source of renewable energy that is yet to be commercially realised. Recent attention has been focused on the installation of Oscillating Water Column (OWC) devices as part of breakwaters or harbour walls to provide advantages of cost-sharing structures and proximity of power generation facilities to existing infrastructure. In this paper, a time domain numerical model of a fixed Multi-Chamber Oscillating Water Column (MC-OWC) is developed in MATLAB. This model is validated against a scale model experiments performed in a wave flume and good agreement is found. The validated model is used to investigate the effect of the power take-off damping on device performance parameters for a given environmental condition. This paper studies the reliability of numerical models used for estimating multi-chamber oscillating water column (MC-OWC) response in the time-domain. The model for the internal water surface level and instantaneous pressure inside the chamber at regular waves conditions using a hybrid system of hydrodynamic and thermodynamic rigid piston models without power take-off. Reliability is assessed using experimental data obtained from a wave tank used in the model concept validation. The results show the method could be extended to describe the hydrodynamics of the MC-OWC in regular and irregular wave conditions. Electric Vehicles (EVs) adopting both batteries and supercapacitors have attracted a significant amount of attention in research communities due to its unique power sharing capabilities. A Hybrid Energy Storage System (HESS) can effectively reduce power stress that would otherwise be applied to batteries alone, and whose weight and size is still a common concern when competing against conventional ICE-powered cars. In this paper, a high-level control strategy is developed to adaptively split the load between two sources for an electric vehicle adopting HESS under real-life load fluctuations. A converter — Supercapacitor Pack (SP) coupled HESS upon which such an algorithm is deployed on, is proposed to divert excess power into the SP via a smart Power Converter (PC) which is located in between in order to regulate both behaviors. Such a power split strategy (PSS) is designed in such a way to track real-time load profiles and determines one important variable — the cut-off frequency. A simplified HESS model is first developed. The power split algorithm is coded in Matlab and then applied to this HESS model. Finally, the overall system is tested comprehensively over 4 EPA driving cycles. Simulation results prove its effectiveness in coping with even the harshest driving scenarios in real life. There is a clear shift toward the implementation of electrified vehicles in the market, influenced by the introduction of stricter mandatory regulations on fuel economy improvement and emissions reduction. Of these vehicles, the penetration of hybrid vehicles in the market has much potential for growth in the next few years. The adoption of these vehicles has been limited by the high cost of HEV's, which have less uptake in developing regions. Considering this point, developing countries would see the greatest benefit in adopting HEV technology. A mild hybrid system has an observable advantage in these markets due to its maximum benefit/cost ratio when compared to a full hybrid, plugin hybrid or electric vehicles. This paper discusses the development of a mild hybrid system for such markets with a focus on improving drive performance and efficiency. To achieve this, high power density ultracapacitors are used based on their fast charging and discharging characteristics, together with intelligent drivetrain control taking advantage of the ultracapacitors' characteristics to deliver smooth torque delivery during gear change (torquefilling). A comparison and analysis is undertaken, of both conventional powertrain and an otherwise identical powertrain but for the incorporation of components required for the mild hybrid system. Software models simulated the powertrains in specific driving conditions, with observations made of the advantages of MHEV over conventional drivetrains. The model demonstrated increased fuel efficiency and performance. A novel, the low-cost mild hybrid powertrain is described. It relies on a manual, or robotized manual transmission together with a BLDC motor coupled at the output for filling the torque hole between gear changes. In order to keep manufacturing cost low and improve commercial attractiveness, it incorporates gearshift strategies that deliver high-quality gear shifts. A deliberate downsizing of componentry is implemented as far as possible to reduce cost, and control strategies are employed to exploit the maximum potential of the architecture using methods including torque-fill, ICE-assist, and ICE start-stop. The architecture is developed in simulation using an existing conventional platform to investigate system properties and their effect on performance. In particular, we discuss the gear-shift control algorithm design. Until the cost of full hybrids and fuel cell vehicles is significantly reduced, such a mild hybrid may have the potential to provide the right cost-benefit balance to achieve strong market penetration. Improvements in fuel economy have always been a dominating driver of vehicle engineering. With some exceptions, benefits attained from hybrid powertrains to transient power delivery has not been the emphasis of research and development efforts. Developing cities around the world would realise significant benefits from improvements to fuel economy, which is outlined in this research by assessing the benefits of a novel HEV architecture. These benefits are compared to a conventional ICEpowered vehicle equivalent, which has an advantage in terms lower upfront costs. The commercial success of HEV implementation, therefore, is determined by its price comparison to conventional vehicles and payback over a number of years of use. This becomes especially important in regions of low-middle income, where the market is much more price-sensitive. The fuel economy of a conventional vehicle and mild hybrid electric vehicle are compared in this paper. This analysis includes vehicle modelling and simulation. Fuel economy is assessed and referenced with standard drive cycles provided by the U.S Environmental Protection Agency. Results demonstrate the benefits of a lower ongoing cost for the HEV architecture. Hybrid vehicle engineering has traditionally and dominantly focused on fuel economy benefits and emissions reductions. Although the transient power delivery benefits of hybrid powertrains are well-understood, these are not a primary focus of the majority of research and development efforts, with some exceptions. Our approach to this problem is to deliver a low-cost, low-tech mild-hybrid powertrain, with unique power delivery features designed to appeal to price-sensitive, but aspirational consumers. The powertrain is a simple post­ transmission parallel hybrid configuration. It utilizes a low­ powered four-cylinder engine coupled to a four-speed manual transmission through a robotically-actuated clutch. A low-voltage BLDC motor is directly connected to the transmission output shaft, before the final drive. Our research focuses on bringing the benefits of HEV architecture to the world's developing cities, where, it can be confidently argued, local emissions reductions are needed the most. Crucial to the success of this research is the understanding that compared to an equivalent ICE-powered vehicle, an HEV competes at a price disadvantage, no matter how cost-effective the solution is. This disadvantage is amplified in regions of low-middle income, where price sensitivity is greatest. It must, therefore, present better value than an equivalent conventional vehicle if it is to be commercially successful in these particularly price-sensitive markets. We discuss the extent to which control can be used to deliver transient power delivery gains in such a setup, and offer an example powertrain for simulation. To validate the concept, simulation of this research is performed in MATLAB and Simulink. The prototype is based on a generic engine and a BLDC motor. The results mainly focus on the electric drive and comparison of the transient response of drivetrains. This paper presents a theoretical background and real-time validation procedure for an electric propulsion system for a mild-hybrid vehicle configuration, based on a permanent magnet synchronous motor (PMSM) on the output shaft of a manual transmission. The validation technique uses the rapid prototyping technique of hardware-in-the-loop (HIL) in order to validate the characteristics of an off-the-shelf PMSM and controller by implementing them in a HIL model of the mild hybrid vehicle. The results obtained suggest that whilst the motor did not meet the manufacturer-rated specifications, it would nevertheless function acceptably for the purposes of the proposed mild hybrid vehicle architecture. Hybrid Electric Vehicles (HEVs) provide many known benefits over conventional vehicles, including reduced emissions, increased fuel economy, and performance. The high cost of HEVs has somewhat limited their widespread adoption, especially in developing countries. Conversely, it is these countries that would benefit most from the environmental benefits of HEV technology. As part of our ongoing project to develop a cost-effective and viable mild HEV for these markets, dynamic simulations are required to ensure that the proposed designs are to achieve their desired targets. In this paper, mathematical models of the powertrain are used to analyze and compare the dynamics of both a conventional power train and one with the addition of components required for the Mild Hybrid system. Using Matlab and Simulink, simulations of both powertrains under particular driving conditions are performed to observe the advantages of the MHEV over conventional drivetrains. These benefits include torque-hole filling between gear changes, increased fuel efficiency and performance. Renewable energy has gained much attention and there is a substantial body of both theoretical and experimental research . A wide variety of technologies have been proposed, studied and a few tested in real condition at full size . Of the new technologies, wind and wave have reached a degree of mature technology. Ocean wave energy is regarded as one of the major renewable energy resources with great potential for development over the course of the next few years but it is still virtually untapped. It has the advantages of a high energy density and continual availability  . The oscillating water column (OWC) is one type of wave energy converter (WEC). It is designed to extract energy from ocean waves by using water to move trapped air and thus drive an air turbine. The OWC device is considered as the oldest and the most widely researched type of the wave energy device. It has been successfully constructed and tested at several sites. There are several reasons for using this device; the low operational cost, and the only moving part of the energy conversion mechanism are the rotors of a turbine. Hence it has less negative environmental impact . Many devices operate in real ocean waves ; the most powerful wave energy devices constructed were the Osprey in the UK in 1995, and the the greenWave device in Australia in 2014. Both were rated 1 MW and near-shore plants. Both were severely storm damaged. Recently the successful deployment of a OWC at Jeju Island, South Korea, worked at rated power of 500 kW. These successful devices show that the obstacles can be overcome with further research . Table 1 summarizes most of the OWC devices that have been installed in various countries with the real or expected capacity and the turbine type that was used to extract the power. With the deterioration of the air pollution, growing public concerns over the exhaustion of global fossil energy and the explosive growth of passenger vehicles, the improvement and popularity of electric vehicles (EVs) have increased in market share. The primary goal of EV powertrain design is achieving the same performance, e.g. launching and driving range, as that of Internal Combustion Engine vehicles. To realize this target, a novel propulsion system is proposed in this paper. A comparison of driving performance and energy saving are completed among single reduction, continuously variable transmission (CVT) and proposed system on EVs. The simulation results show that the optimized motor propulsion system has a significant improvement on battery energy saving, range extension and vehicle cost. Electric vehicles (EV) are considered a practical alternative to conventional and hybrid electric passenger vehicles, with higher overall powertrain efficiencies by omitting the internal combustion engine. As a consequence of lower energy density in the battery energy storage as compared to fossil fuels powered vehicles, EVs have limited driving range, leading to a range phobia and limited consumer acceptance. Particularly for larger luxury EVs, electric motors with a single reduction gear typically do not achieve the diverse range of function needs that are present in multi-speed conventional vehicles, most notably acceleration performance and top speed requirements. Subsequently, multi-speed EV powertrains have been suggested for these applications. Through the utilization of multiple gear ratios a more diverse range of functional needs can be realized without increasing the practical size of the electric motor. The major limitation of multi-speed EV powertrains is that the increased transmission complexity introduces additional losses to the vehicle. Through a number of simulations this paper studies the integration of multispeed transmission with EV platforms. Particularly, it investigates the performance improvements of both B and E class vehicle platforms realized through utilization of two and three speed transmissions. Also the potential application of hybrid energy storage systems (i.e. batteries combined with super-capacitors) is studied. Results demonstrate that there can be significant benefits attained for both small and large passenger vehicles through the application of multi-speed transmissions. However, optimization of these ratios must be considered in the analysis. Regenerative braking energy recovery bears significance in extending the driving mileage of electric vehicles (EVs) while fulfilling real-time braking demands. Braking energy strategy plays a significant role in improving the regenerative braking performance and ensuring braking safety. This paper presents a regenerative braking energy recovery strategy for an example EV with a two-speed Dual Clutch Transmission (DCT). The two-speed DCT, with simple structure, can effectively extend the active vehicle speed-range for regenerative braking . Meanwhile, a shifting strategy is proposed for the DCT, working with the presented braking energy recovery strategy, to optimize the brake force distribution between front and rear wheels, motor and friction brake force. The EVs' model with the proposed regenerative braking strategy and the optimal shifting schedule was established and implemented in Matlab/Simulink. A testing rig based on an example EV was then set up in our laboratory to experimentally validate the proposed strategy. The simulation and experimental results show significant agreement. It verified that the proposed regenerative braking control strategy could not only exhibit excellent performance, but also make it possible to recover more braking energy though adding the two-speed DCT. Although considered a well-established machine element, screw fastening systems are required to fulfill ever increasing demands for performance, reliability, economy, and sustainability. Yet there are limitations to the capabilities of existing design procedures which often neglect a comprehensive analysis of both soft and hard design parameters over the entire system life cycle. This paper presents a holistic approach towards automated design of screw joints, going beyond established methods by incorporating soft (intangible) design parameters additionally. Based on the vectorial design method developed by Friedrich, a multi-objective optimization process is used to tradeoff various, often conflicting design parameters from the vectorial design approach (such as screw diameter, assembly method, preload loss, material strength, etc.) to derive an optimum solution with a high level of confidence. For this, a complex network of strategy parameters and safety factors is used (optimization parameters). It is referred to geometry, material, contact, assembly and production for boundary conditions. A definite solution for the model of the fastening system must incorporate analytical functions, numerical relationships and correlation with technical and nontechnical aspects (including cost and environmental impact). can be performed with computational engineering. A major benefit from this is saving product development time and therefore cost as well as evaluating influence-intensity of design parameters (rating of influencing values). Electric vehicles (EVs), as the most promising long term trend in environment friendly transportation, worldwide attracts significant amount of research. However the consumer acceptance of EVs is still restricted by the limited range in comparison to its counterpart-internal combustion engine vehicles. Energy recovery through regenerative braking, as an inherent advantage of EVs, is a feasible option to contribute to the alleviation of this problem by recuperating braking energy during braking. The motor recovers electric energy instead of dissipating heat when driver decelerates vehicle. There have also been many attempts at integrating various transmissions with EVs to extend the mileage and improve the performance of electric vehicle, but few have noticed that Dual Clutch Transmission (DCT) as a higher efficiency transmission system may be more suitable for EVs than other transmissions, especially with a simpler structure when only two speed ratios are utilised. In this paper, a regenerative braking system for Two-Speed Dual Clutch Transmission-based electric vehicles is proposed. Results from simulation and experiment validate that the proposed braking energy recovery system works efficiently on a Two-speed DCT based EV. The process of conceptualizing innovative designs is multifaceted and inherently difficult to perform successfully. It is largely characterized by the designers capability to find solutions to design problems beyond existing norms. General agreement suggests this process should entail a holistic approach for conceiving new ideas, which are expanded, assessed, developed, refined, and implemented as part of an iterative problem solving cycle. Suitable design procedures and skills are therefore vital as most of the final cost of a product or system is committed within the early conceptualization stage. This paper builds on engineering design techniques previously developed by the author, namely the Design Process Framework in conjunction with the Concept Assessment Taxonomy (CAT) at the heart of concept development . The main emphasis of the work presented herein is the application of said framework to a new design challenge in order to further test and demonstrate its practicality in a real world context: the conceptual development of an innovative, modular, hybridelectric powertrain for two-wheelers. The development of compact and efficient hybrid electric vehicle powertrains for low initial and on-going costs requires consideration of numerous, often competing factors. Appropriately designing and sizing these powertrains requires the consideration of requirements for vehicle range and performance, considered directly through the sizing of motors and engines, and indirectly through minimization of vehicle mass whilst being constrained by total stored energy in the vehicle, against the impact on vehicle emissions and on purchase and ongoing operational costs. In addition to these considerations the actual driver use will strongly influence the energy consumed and vehicle emissions. It therefore becomes beneficial to provide flexibility in hybrid vehicle configuration design to enable the minimization of vehicle emissions and ongoing vehicle costs. The purpose of this paper is to study the various alternative vehicle powertrain configurations for application to small scale hybridization demands, such as scooters or motorcycles. Powertrain configurations studied in this paper include plug-in hybrid electric (PHEV), battery hybrid electric (BHEV), and a pure electric vehicle (PEV). To design and size each of the configurations a statistical approach is taken, power and load demands are studied and utilized to size powertrain components. Results are extended to size vehicle energy storage for electric only range of 25, 50 and 100 km, and total vehicle range of 100 km for the BHEV and 200 km for the PHEV. Based on the results developed from the analysis mathematical models of each of the powertrain configurations are then developed in Matlab/Simulink and numerical studies of vehicle energy consumption in comparison to range are conducted. Outcomes of these simulations are compared to an operating cost based analysis of the suggested powertrains; the benefits and limitations of each design are considered in detail. Electric vehicles (EV) are considered a practical alternative to conventional and hybrid electric passenger vehicles, with higher overall powertrain efficiencies by omitting the internal combustion engine. As a consequence of lower energy density in the battery energy storage as compared to fossil fuels powered vehicles, EV powertrains have limited driving range, leading to a range phobia and limited consumer acceptance. Particularly for larger luxury PEVs, electric motors with a single reduction gear typically do not achieve the diverse range of function needs that are present in multi-speed conventional vehicles, most notably acceleration performance and top speed requirements. Subsequently, multi-speed EV powertrains have been suggested for these applications. Through the utilisation of multiple gear ratios a more diverse range of functional needs can be realised without increasing the practical size of the electric motor. This paper builds on previous research to conduct an experimental investigation of the losses present in a multi-speed EV powertrain. The major limitation of multi-speed EV powertrains is that the increased transmission complexity introduces additional losses to the vehicle. Utilising the UTS Powertrain test rig the instantaneous losses of a multispeed and comparative single speed powertrain are investigated under the NEDC driving cycle, combining urban and highway style driving modes. This includes the power throughput evaluation of motor/controller and transmission, and the parasitic losses associated with control of clutch solenoids and the electric hydraulic fluid pump. The results demonstrate that while the single speed EV has improved overall efficiency by comparison to the multispeed equivalent powertrain, the comparative efficiencies are unlikely to significantly degrade the vehicle driving range. This paper presents the findings of a theoretical analysis of a two-speed Dual-Clutch Transmission (DCT) for electric vehicle applications. Electric drives incorporating DCTs can offer improved driving economy, range, acceleration and climbing gradeability, with potentially smaller electric motors (EMs). Through simulation, this paper studies the influence of road grade on EV performance and how motor downsizing impacts on vehicle range and acceleration performance. Particular attention focused on how such vehicles perform using a variety of different drive cycles. Results show that as expected range is heavily influenced by driving cycle. However, for a reduction in motor peak power there is minimal variation in vehicle range. Vehicle performance is also demonstrated to be reasonable through significant reduction in motor size. Synchronizer mechanisms play an important role in the selection and engagement of gears in manual, automated manual and dual clutch transmissions (DCT). These mechanisms rely heavily on the balancing of torque loads in cone clutches, dog gears and from losses in the gearbox to ensure repeatable and reliable actuation, with excessive wear on friction and contact surfaces leading to degradation of actuation and potential mechanism failure. Dual clutch transmissions, in particular, provide a unique operating environment for synchronizers, most notably is its actuation with the engine still driving the wheels during normal driving conditions. Thus, the consideration of increased transmitted vibrations through the powertrain must be evaluated to study the impact of these vibrations on the synchronizer. To conduct this investigation this paper develops a detailed multi-body dynamic model of a typical automotive powertrain equipped with a dual clutch transmission. This includes engine models with torque harmonics that capture the instantaneous torque variations from piston firing in the engine. As the main consideration of this paper is the influence of engine harmonics, the semi-definite powertrain model is simplified to a fixed-free system and the response of the synchronizer mechanism to harmonic torque inputs is analyzed. Parametric analysis of the system is conducted to analyze the influence of variables including gear ratio, torsional damper, system damping, and engine configuration on the dynamic response of the mechanism. Results demonstrate the influence of each of these variables on synchronizer dynamics in the steady state, with stiffness of torsional damper having the strongest influence on forced vibration. Additionally, results vary significantly between single and dual lay-shaft transmissions. Walker, P.D., Zhang, N., Zhu, B. & Abdul Rahman, S. 2012, 'Dynamics and control of gear shifts in a two speed electric vehicle', Advances in Applied Mechanics Research, Conference Proceedings - 7th Australasian Congress on Applied Mechanics, ACAM 2012, pp. 698-707. Electric vehicles offer an alternative to hybrid and conventional vehicles through the use of electcric drive without fossil fuel consumption. This shifts green house gas production from the vehicle to power stations, but if power is supplied from renewable sources, such as wind power, zero emissions are generated. Practical vehicle design requires the consieration of competing demands of vehicle acceleration and performance against range and vehicle efficiency. Thus, considering requirements such as grade climbing and acceleration against vehicle range and power consumption, a two speed transmission is suggested for this vehicle study to increase motor operation at high torque and efficiency regions. To evaluate the application of such a transmission, a two speed electric vehicle powertrain is developed in SimulinkÂ®. Simulations are conducted to demonstrate the performance of the two speed electric vehicle. Results reveal the capability of the two speed vehicle to meet various performance criteria and provide an indication of effective range under different drive cycles. In this paper, two typres of increasingly more efficient and greener vehicles are analyzed and compared. These vehicles are: a proposed conceptual series-parrallel powertrain, the University of Technology, Sydney plug-in hybrid electric vehicle (UTS PHEV); and, a conventional series-parrallel hybrid electric vehicle with an internal combustion engine. The UTS PHEV requires only a single electric machine to function as an electric motor or generator in different time intervals controlled by a special energy management strategy. The UTS PHEV uses two energy storage device, the battery and the untracapacitor, which can work together effectively to maintain the state of charge at a high level in order to improve the vehicle drive performance and energy efficiency. With the assistance of a novel automatic transmission, the UTS PHEV can operate under multiple modes to suit the needs of various driving cycles including those in an emergency. A special power and energy management strategy was developed to control the power flows within the vehicle according to the desired operating mode. Dual clutch transmissions (DCTs) have emerged as a viable alternative to conventional planetary automatics and continuously variable transmissions (CVTs) with the development of precise control strategies. Although technology advancement greatly improves the transmission performance in recent years, undesirable vibration and noise is still the draw backs to DCT application. The hydraulic sub-component is a particular source of nonlinear response that influences launch performance. Clutch engagement judder, as part of vehicle noise, vibration and harshness (NVH), is an important vehicle attribute in the design of DCT which combines the advantages of manual transmission (MT) and conventional automatic transmission (AT). This paper studies the vehicle vibration during launch. In this paper, a system analytical model including detailed hydraulic control module will be presented for clutch engagement control during launch for vehicles having a DCT. And the control method mainly includes determining the engine throttle position and clutch pressure of the transmission to make the vehicle accelerate smoothly. In particularly, the attributes between launching with two clutches or one clutch are compared and evaluated, which are validated through simulation in MATLAB/Simulink. In this paper a finite element model of a dual clutch transmission (DCT) equipped rear wheel drive powertrain is developed for the study of transient dynamics during clutch-to-clutch shifting. Damped free vibration analysis is performed to identify natural frequencies and damping ratios. These results indicate that damping in the DCT is significantly lower than in comparable automatic transmissions. Clutch pressure signals are employed from a constant torque shift control algorithm with engine throttle angle control for transient simulations. These simulations demonstrate inadequacy of the sole use of torque control for providing high quality gear shifts in DCTs. To rectify this issue the torque phase of shifting was restricted by applying a ramp increase in clutch torque to reduce pressure overshoot during simulations. Results demonstrate a reduction in post lockup transients; however it is suggested that inclusion of time delay in shift control must be considered to achieve best possible performance. The synchromesh type synchroniser has been introduced to dual clutch transmission applications for gear selection prior to shifting. Historical research into this type of mechanism has targeted the application to manual transmission systems only. Such work targets the phenomena associated with driver feel such as shift effort and âdouble bumpâ. Now automated, the control of the synchroniser is less concerned with such aspects of the actuation, focus not trends towards repeatability of the process as well as speed of engagement. The actuation of this type of mechanism relies on the balancing of torques derived from engagement chamfers, the cone clutch and losses experienced in the transmission. These torques affect the displacement of sleeve, asynchronisation of the target gear, as well as the unblocking of synchroniser ring and indexing of the gear to the locked position. Thus a simplified model of the synchroniser mechanism and associated gear is developed for the purpose of simulating its operation in a dual clutch transmission. Unlike similar simulations this model targets the actuation of the mechanism using input forces from the controller, rather than using the control of sleeve displacement to determine maximum forces experience by the driver. To assess how operating characteristics have varied the mechanism has been modelled in the MatlabÂ® environment. This paper presents the techniques used to model the mechanism, including the governing principles of synchroniser actuation and drag torque. Simulation results demonstrate that the primary variation in the mechanism is through the indexing chamfers. Additionally the influence of temperature variation is demonstrated for a fifth gear upshift, and the detrimental effects of cold starts demonstrated. Walker, PD 2011, 'Synchroniser analysis and shift dynamics of powertrains equipped with dual clutch transmissions'.